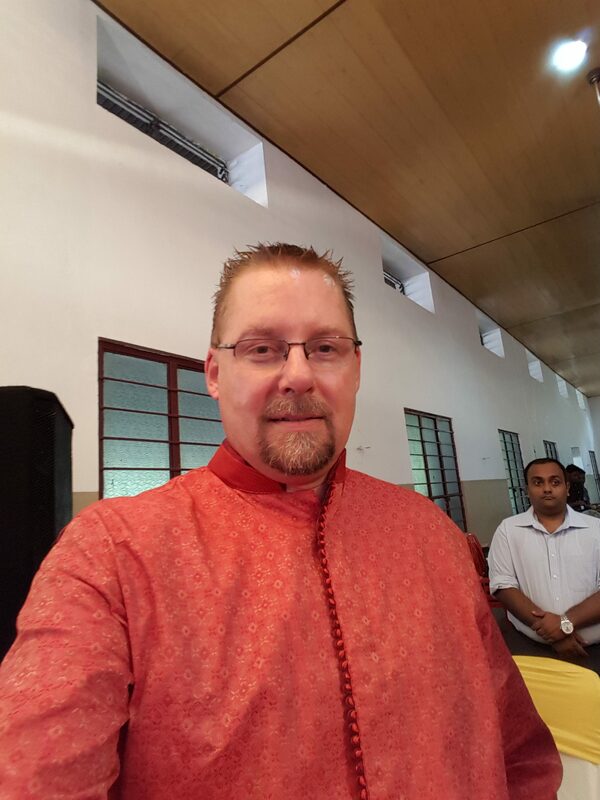 Last week I returned from another successful trip to India. In this trip we dedicated 7 water projects within Andhra Pradesh and culminated the trip with a quick visit to the Taj Mahal. I had forgotten how hot things were in July but no hotter than Kansas I guess except Kansas doesn’t have the humidity of India. I was averaging 3 bucket showers a day along with several shirts; I was reminded of what life was like when I first lived in Dallas over the summer. Walk outside and instantly you start dripping, well same thing in India. Thankful for the air conditioner for sure. 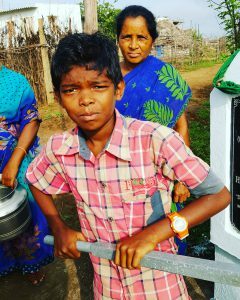 Each of the communities visited were different, some felt cold and hard and others festive and happy, yet despite the feeling at the beginning, usually by the time water was coming from the pump smiles were being shared all the way around. One of the first project dedications I did was hampered by a drunk fellow. He kept coming in saying things and seeking to disrupt the meeting. Finally I asked “what does he want?” only to hear “these ladies are lying and you shouldn’t listen to anything they say”. What to do with that? Back and forth he came and went, finally I let him stand next to me, listened to him, shook his hand at which point another argument ensued and he was forcibly removed. At that point I exited and made my way to the car, as I looked back I saw a lady push him down at which point I didn’t want to see or know more, I just felt sorry for him at that point. As we drove away, I was reflecting about what had happened and peered down a side road and saw a face of a young woman which looked somewhat familiar but way out in the middle of nowhere? I inquired to Raja, my project partner, he lit up when he saw her because he knew her, and she was a 10th class girl that used to stay at New Life Children’s Home. We stopped the car and I rolled down the window to be greeted with a Viser how are you? A mini reunion followed, a welcome respite from what took place just 10 minutes earlier. When we were about to go the women from the village had gathered around the car and asked that we allow them to say just 1 thing, I said sure, no problem, they apologized for the behavior of the drunk guy and explained the back story. I thanked them for coming back and assured them I wasn’t upset, just glad that things were now under control. 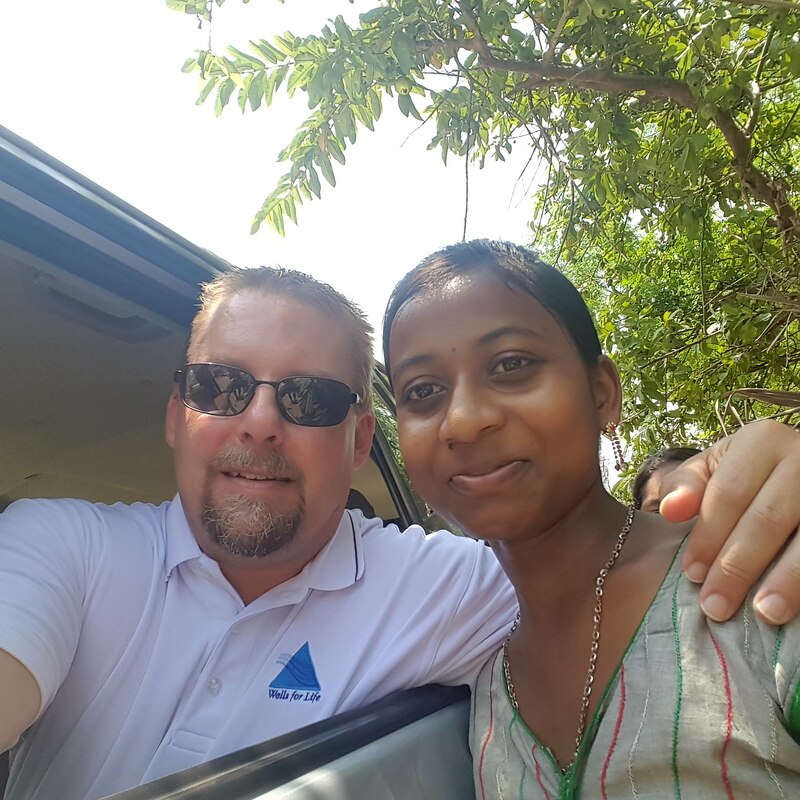 The highlight though for me that day was seeing Swarna and knowing that she has a job in Hyderabad and is doing well; a blessing for sure. Many more things I could share about this most recent trip but I’ll save the space for another time, I will say though that I was joined by some great friends, one of which taught my son twice during elementary school and after hearing about my work expressed a desire to join me one day in India. 6 years later that dream of hers came true and India forever touched her and changed her, hopefully I’ll have her back working alongside me in villages making an impact with clean water or education; only God knows. Last month I, along with my mom and sisters buried my dad, he was 86. His death was sudden for all of us but in the end I take comfort knowing he lived a full life and left a lasting impression on so many. More importantly though, he’s now in Heaven enjoying eternity with all those who have gone before him. Ultimately I took the call as a sign and resigned myself to the fact that I was headed to India. India, of all places; heat, humidity, smells, sounds and a lot of people were just some of the things that would come to mind, not to mention mosquitoes, malaria, cobras and any number of other diseases. Putting aside the fears I boarded a plane in Los Angeles about a month later bound for India. After 2 ½ weeks I returned home. I couldn’t just dismiss my time in India as a one-time event. I saw too much, experienced too much, felt too much to just chalk it up to a neat opportunity and move on. Deep down I knew something was happening but I had no clue as to what. 2 years later I find myself back in India; still asking the same questions yet little did I know that this trip would change my life. There I am, in a village and for the first time confronted with the question of “Will you help us?” A lot of thoughts flow through one’s mind when asked by a stranger or even a friend for help. Most times one calculates out the cost of helping and within moments a reply is given based upon one’s risk assessment of helping. I’m no different. If the request is pleasant and the person asking holds some type of merit in my eyes then I might oblige, but if the environment or situation isn’t conducive, well, go ask someone else, I’m busy. Imagine then sitting in a room and hearing a plea from the president of the village for clean water. Clean water to help redirect the course of life for everyone in the community because what they had wasn’t fit for consumption yet they had no other options. At what point then does this become my problem? It doesn’t I thought and so I was ready to move on. 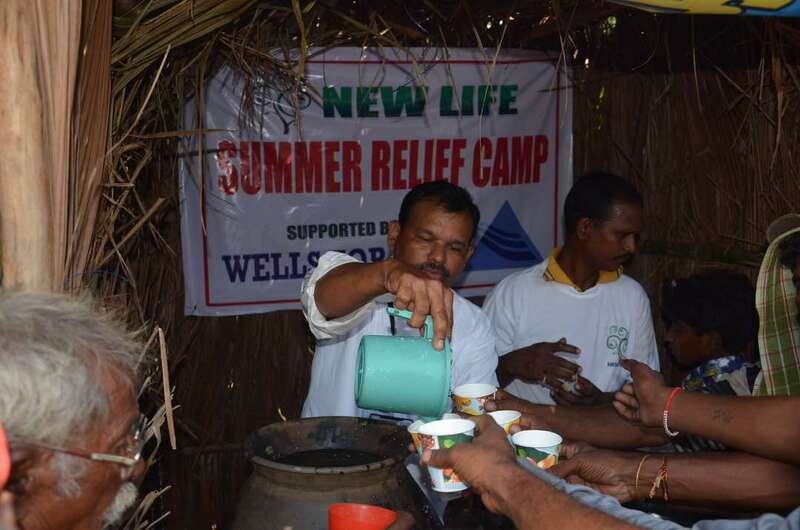 I started Wells for Life because I said “yes” to God and was asked to bring water. I haven’t stopped. 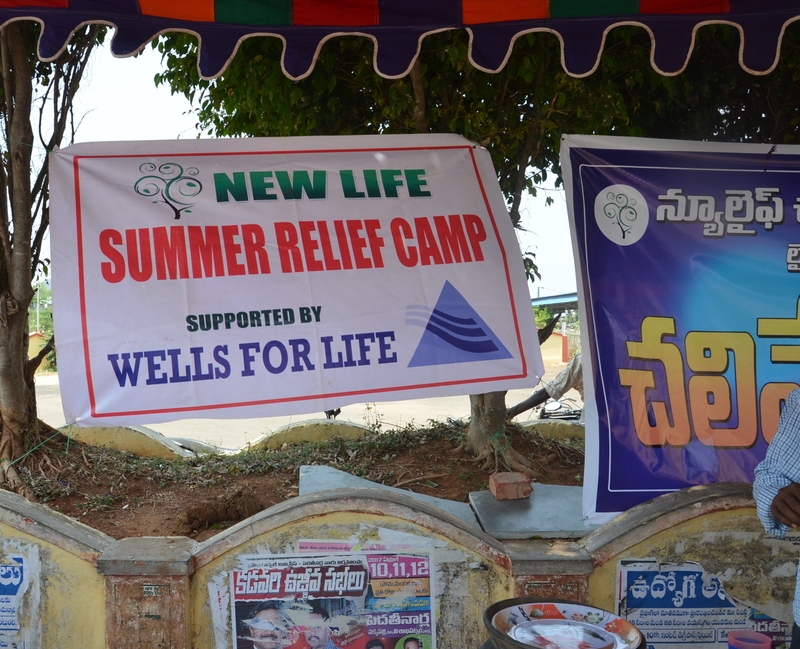 It’s been over 16 years since I started Wells for Life and we’ve brought water to almost 800 villages and communities. A miracle indeed especially considering who I am and my lack of abilities or resources. Some time passed after water was brought to that first community and I got another call from my dad. He told me he was headed back to India and was taking my mom and was there anything they could do for me. There was I responded, I want you to go visit that original village for me and dedicate that water project. Let them know it was your son that said “yes” and let them know how grateful you are for the gift of water which brought them a new chance at life. I share this story as a means of helping me grieve and celebrate my dad’s life and the impact known and unknown that he had on me. I also share it in hopes that you see how something can come out of nothing. And finally, I share this story to say, God can use anyone, just be open and say yes, and have a bit of faith. 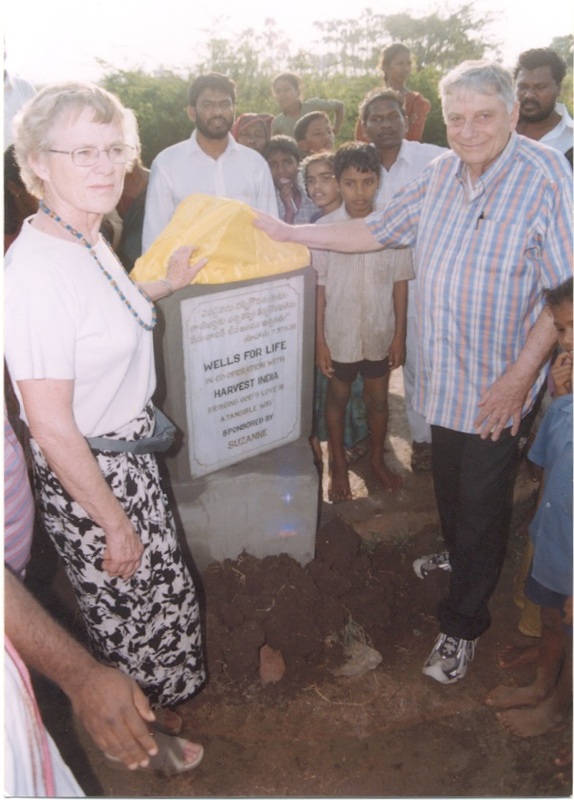 18 years have gone by since that first trip with my dad and Wells for Life has brought water to 798 places throughout India along with financial support for numerous medical camps, people suffering from HIV/Aids, leprosy and a host of other projects aimed at making a difference in the lives of the rural men, women and children of India. 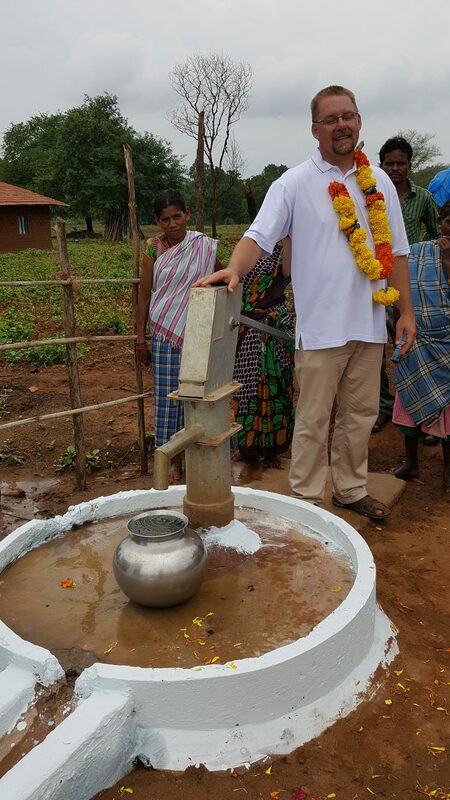 More work needs to be done, hundreds of villages still lack access to clean water and with your giving you can help change the direction of a community just like I did all those years ago. 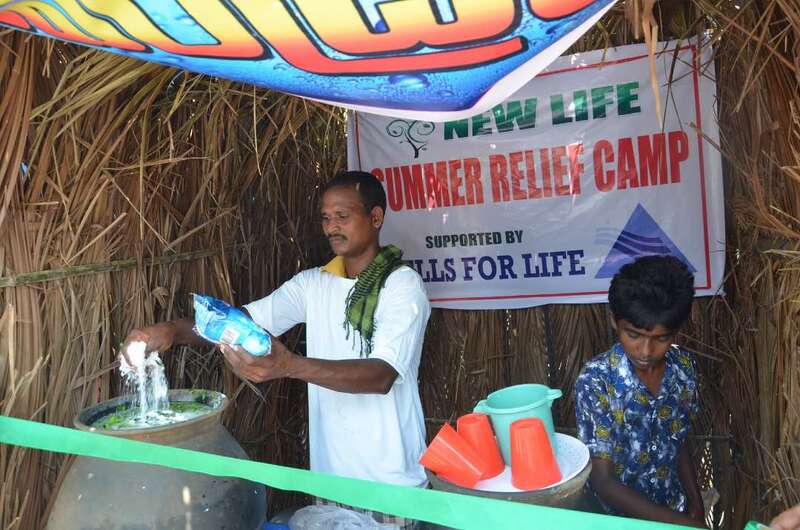 Summer heat is always a problem in rural India where relief isn’t readily available. Whether it is because of the lack of air conditioning or a house fan or power cuts, when the heat and humidity comes relief is necessary. 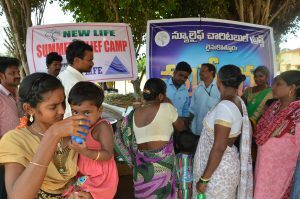 Two of our project partners in Andhra Pradesh set up Emergency Water Camps and pass out cool water and buttermilk to any who pass by. Here are some photos from last years camps and within a few days similar camps will be active again. If you want to help us fund these camps then your gift will certainly help make these camps possible and successful. I wonder where this even started. I actually forgot about it being April 1 until I was cruising through Facebook and I saw a story that someone posted about Bill Self leaving Kansas. Knowing the KU got drubbed by Oregon just days earlier I thought there could be some truth to the story so I clicked on it, the page opened and there was Bill grinning with April Fools stamped across his photo. I’d been had! It’s funny how quickly we can fall prey to a joke or a story especially if there is some sense of probability in it. Thankfully there isn’t any measure of hoax when it comes to helping someone in need. Can you just imagine if you encountered someone who offered to help you out in a situation only to discover that they really had no intention at all in following through? Never happen you think? Actually it does and probably quite frequently. 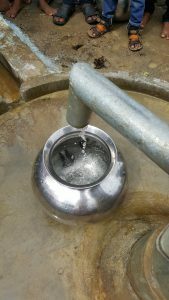 For me, I was in a rural village and heard a plea for clean water. After some back and forth I finally made a promise to bring the water and felt quite satisfied with my response and commitment only to learn that I wasn’t the first. The village president that many had passed through the village and promised clean water but to date, nothing. Time had passed, people had forgotten and the village was left wanting, abandoned. How long I asked? Almost 4 years I was told. I shook my head in disbelief and promised I wouldn’t do that. You see, making a promise for me isn’t an April Fools joke. I just can’t say, I’ll do this and then not deliver on the goods. A promise is a promise. For this village, I didn’t have the funds nor did I have the expertise or the knowledge, I just had the faith and so I made the promise. 7 months later the village had their water and I had a mission. 7 months you say, sounds like an awful long time. Truth is, I promised the water in a year because that is how long I thought it would take for me to save up the necessary money. Thankfully, the money came quicker and so the people celebrated sooner. I share this story as a reminder for us all that people matter, especially ones that struggle on a daily basis just to survive. Making a difference in someone’s life is pretty simple; a smile, a kind word, a handshake or a hug usually can do the trick. 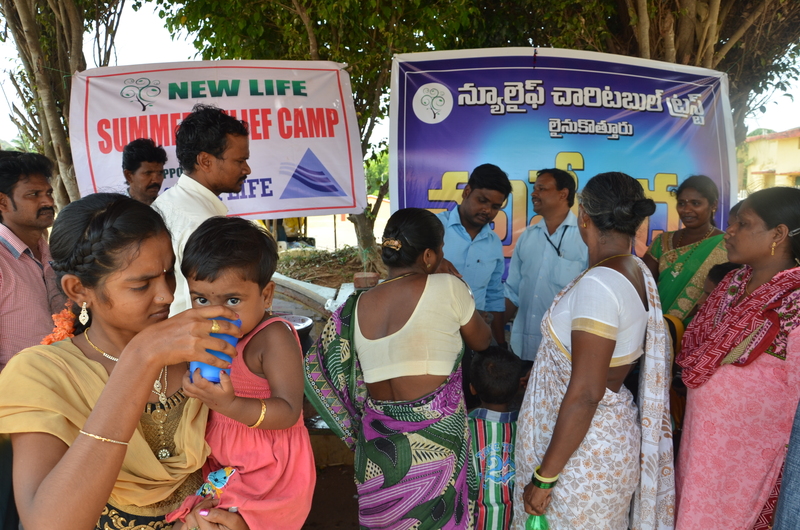 In those cases where there is hunger, thirst or nakedness, then you do more; you give and you clothe. 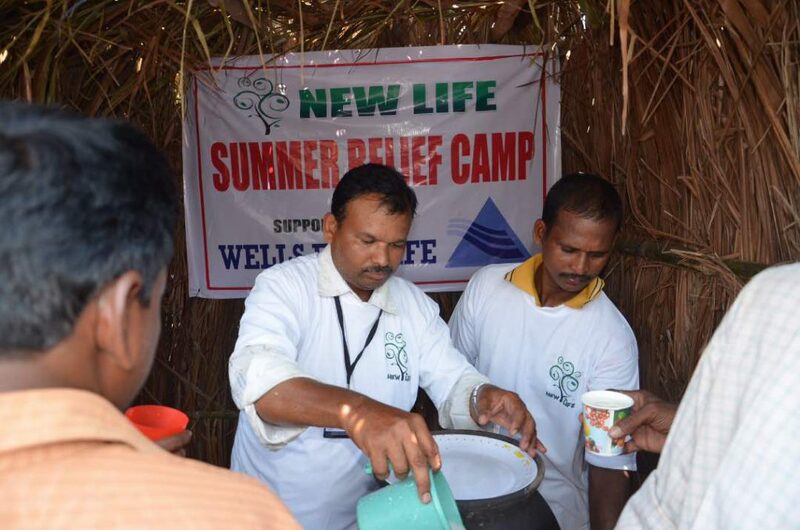 Help us fulfill some new promises for clean water this April by giving to Wells for Life. Your gift will change a life and that’s no joke! Today marks that one day a year when attention is brought to the World Water Crisis. 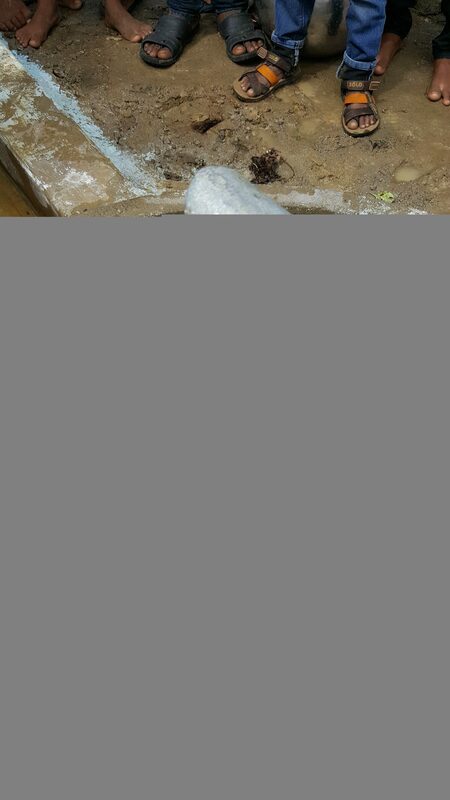 India like other developing nations suffers from water scarcity especially in the rural regions. 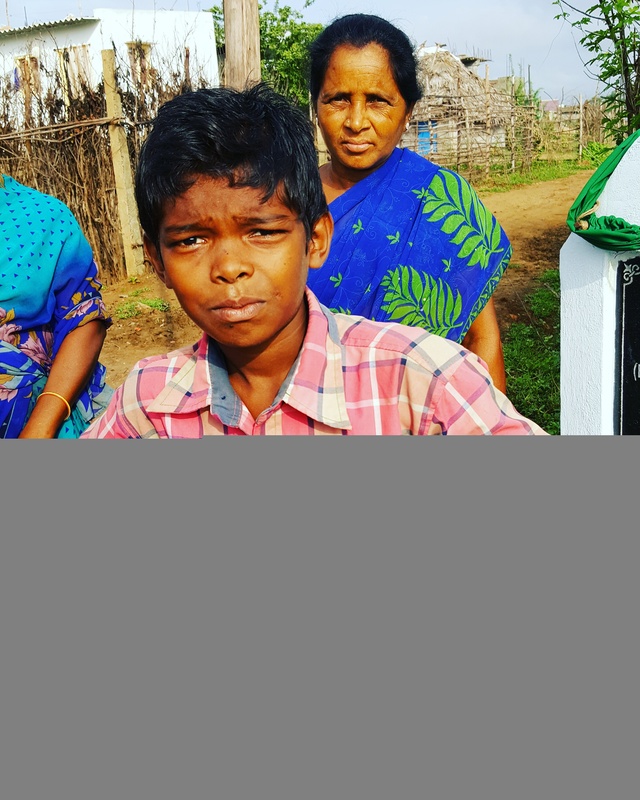 Of the 1.4 or 1.6 billion people, depending upon whose numbers you believe, it’s estimated that at least 65% live in a rural setting and of this number roughly 30% lack access to clean water on a daily basis. Translation, that’s a lot of people suffering because they lack access to one of life’s most necessary elements for survival. For me, World Water Day marks that one day a year to actually make a difference though giving financially. Just the act of giving can take us out of “self” mode and helps us see those around us or in another part of the world who for whatever reason or circumstance don’t have the same opportunities that we might have. I could go on and on about giving and making a difference but it’s all been said and I’d just be redundant so I’ll spare the words. I will just say that a whole lot of good happens when you give towards providing clean water to a community, village or school, especially one that has been waiting for days, months and even years. Giving to make a difference is really quite easy, just do it. Go to our Donate button and give an amount that you feel is appropriate. The larger the amount the more I can make happen! 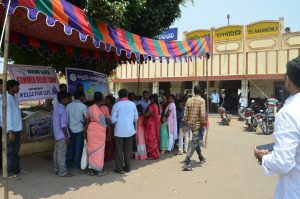 Here’s an example of what happens when I walk into a school which has been wanting clean water for some time; finally someone listened and impact was made! Enjoy and share it with your network and together let’s make a difference in this world. July marks the start of my busy travel schedule to India along with final 6 weeks of time with my kids before they get back in school, so last minute trips to the lake and as much time away as possible make for a busy time. 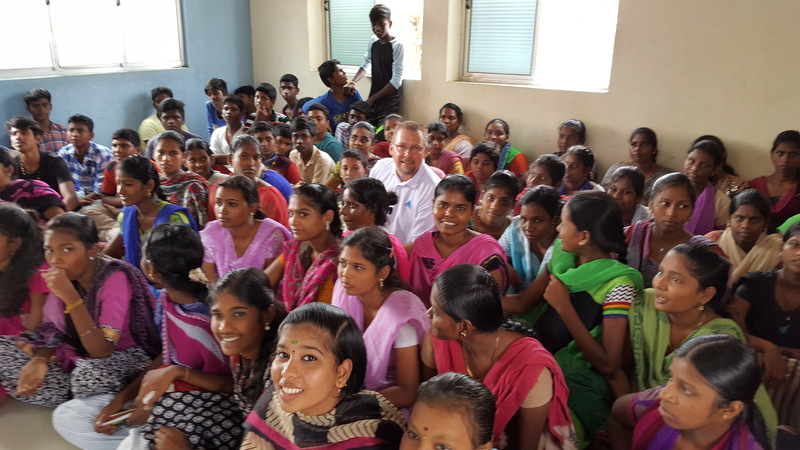 A few days ago I jumped back on a plane and now I’m in the midst of visiting tribal areas opening bore well projects within the state of Telangana. Early mornings and late nights are to be expected and embraced otherwise the rigors of India travel overwhelms and leaves you wrecked and frustrated on the side of the road. Yesterday I was in some places where I know white folks don’t travel or have ever seen. 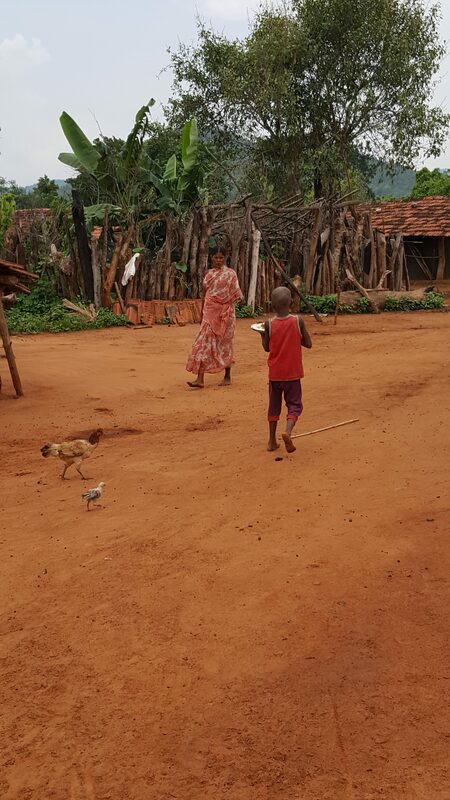 Three of the tribal villages are communist influenced and as short as a few years ago would have never ventured out of their homes to greet a foreigner like myself. These tribal people are living life as simply as possible and without any modern amenities save the solar panel which provides enough electricity to power a few lights. Water is accessed by a nearby stream which takes 15 to 20 minutes to walk to so having a protected and reliable water source which they can access is a huge improvement and I can argue a life enriching and if not saving one as well. I’m continually thankful for what I have and for what I can provide. Despite the long days and nights and all the other things I experience when traveling to and within India, nothing beats the walk with a community down their dirt road to dedicate a water project. The sense of joy, appreciation and community is special and unique even if it only lasts a few moments. Thanks to all who make what I do possible and who give so that I might give the powerful gift of life. Just to update my post from a couple of weeks ago; the community affected by the fire is working with our partner Nazareth Association for Social Awareness to rebuild. This process involves seeking financial assistance from the state government to rebuild their existing structures which were damaged. 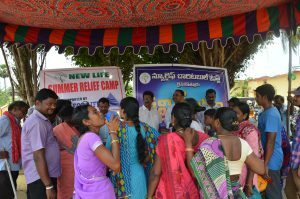 The timing in this will be very lengthy so in the interim the funds which Wells for Life raised have been sent and utilized for temporary shelters, food, clothing and other necessities which will help them endure until the funds are made available by the state government. Thank you to those who so generously gave and responded to this need. Access to water already exists so there is no further need from our standpoint to invest in the rebuilding efforts for these people. 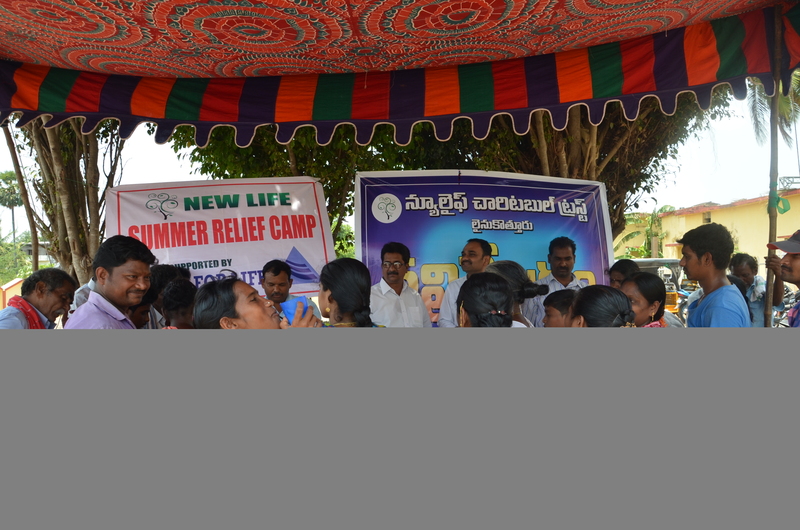 Again, much thanks was expressed to us for the aid which we were able to provide.